The father abbot at the monastery of Montserrat in Catalonia has apologised to the alleged victims of monk Andreu Soler, accused by at least five men of sexually abusing them when they were part of the monastery scouts. ‘I apologise to the victims,’ said Josep Maria Soler in his homily on Sunday, and added that the stories coming to light ‘are painful because they undermine our trust’. Montserrat is a multi-peaked mountain range in Catalonia, and well known as the site of the Benedictine monastery, ‘Santa Maria de Montserrat’. The monastery set up an independent committee to review the alleged cases of sexual abuse over a week ago, after Miguel Hurtado said he was abused by monk Andreu Soler in the 1990s when he was part of the scouts. Two people told the Catalan Rac1 radio station that they were also molested by Andreu Soler, who was in charge of the scouting movement in Montserrat for 40 years. He died in 2008. Other alleged victims have come forward, following Hurtado’s example, and have accused Soler of abusing them. The victims have reported cases spanning from the early 1970s to the late 1990s. 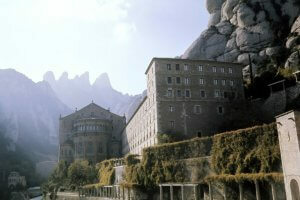 The iconic monastery atop the famous Catalan mountain has only admitted knowing the events involving Miguel Hurtado and said no other cases has been reported throughout the years. Hurtado said that the institution had ‘covered up’ the events and they only paid him 8,600 euros for therapy costs when he confronted the monastery about the events in 1998 at the age of 17. While the institution reacted to the news saying that they had launched an internal investigation in 1998, Hurtado said this is a ‘lie’ and called for the abbot’s resignation. ‘They are more interested in the reputation of the institution than in protecting minors,’ he said.